Éva Tessza Udvarhelyi is fostering the culture of democracy through the support of changemaking and movement building among marginalized populations and shifting the focus of Central European citizen sector organizations from service-delivery to framework change and addressing the root causes of social problems through impact-driven, systems changing interventions. Despite the democratic transition in the early 1990s, research shows that in Hungary the power of civil society is weaker and everyday political participation is lower than in Western Europe. The citizen participation in public life is often confined to occasional donations and volunteering, the majority of the population is not equipped with the skills to participate in formal and informal politics, articulate their needs and voice concerns, defend their interests and influence decisions that affect them. In general, decisions are made above people’s heads and grassroots efforts are not strong enough to exercise democratic control over elected representatives, while media mostly controlled by the government cannot become an effective watchdog either. This weak democratic culture at the collective level therefore leads to meaningful political participation being confined to a relatively small urban elite. Tessza co-founded The City Is For All group, the first in Hungary to consciously recruit homeless people and housed allies as activists in one group and support them in joining forces in the fight for dignified social housing. Consequently, Tessza embarked on the path of building up a housing movement building on the key principles of her favorite sport, fencing, such as being respectful with the counterpart but out-smarting them and taking the initiative away from them without hurting. This led her organization to become an influential player widely supported by the general public and often feared by politicians. As the next logical step in her work, Tessza has established the School of Public Life in order to actively share her experience and foster the culture of social movements in Hungary by educating people from diverse social groups facing exclusion how to organize and join forces. In the context of Hungarian government taking an authoritarian turn leading to weakening of civil society, citizen sector organizations themselves being mainly focused on direct service delivery, and online citizens’ platforms – on empowering mostly already active middle class, Tessza aspires to alleviate social injustice in Hungary by cultivating the culture of changemaking among people who find themselves at the margins of society. She is shifting the self-definition of people facing housing poverty, refugees, physically and mentally disabled, sexual minorities and others, from seeing themselves as a target group of services and beneficiaries of charitable activities to growing into first-class citizens and becoming changemakers and thus addressing their individual and collective powerlessness by fostering the culture of self-efficacy and social movements. Tessza’s strategy to alleviate social injustice in Hungary can be paralleled to an onion which is gradually adding new layers of complexity and impact, while Tessza is deepening her understanding of the root causes of the problem. 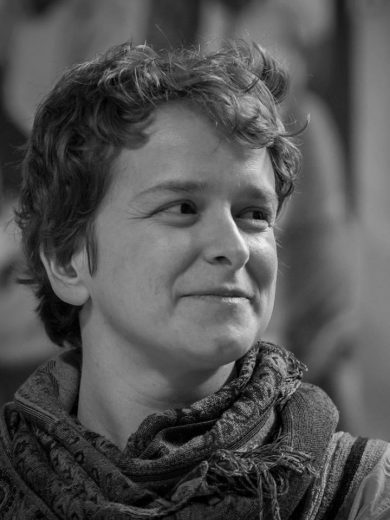 Her work has evolved from a single-headed activism for the rights of homeless people to the master organizing of a broad social housing movement in Hungary and later to the creation of an empowerment hub, the School of Public life, which helps people facing exclusions and citizen sector organizations to effectively connect and organize around social movements. She is now working with the populations across the whole country and has representation in two major Hungarian cities. Tessza’s first encounter with being different from the majority population happened in her teenage years when she was exploring the Jewish roots of her own family. This is when her curiosity about the motivations and behaviors of people and particularly of those discriminated against started to develop. Tessza’s first close encounter with homelessness happened when at the age of 22 she read an article about the Budapest municipal authority announcing that “in the name and interest of decent city dwellers” it aims to “clean the streets of graffiti, street vendors and homeless people”. Not being able to identify with the statement, Tessza delved into researching the topic, joined an activist group that organized around housing issues and later was key in initiating a small demonstration against a local law on silent begging.